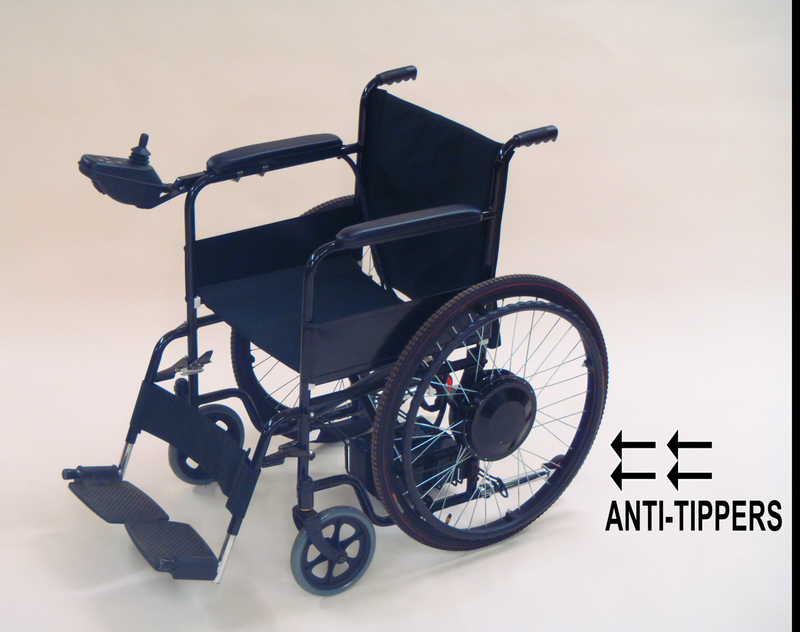 Features: Zero turning radius, joystick controller, forward and reverse, regenerative braking, motors slow when throttle released, parking brake, change to manual in 2 simple moves, variable speed up to 4 mph, uses standard household outlet for charging, and has 3 hours of continuous use and 10 mile range on flat ground, automatic parking brake locks wheels from rolling when you are at a stop, weight capacity 300 Lbs, 15% gradeability. 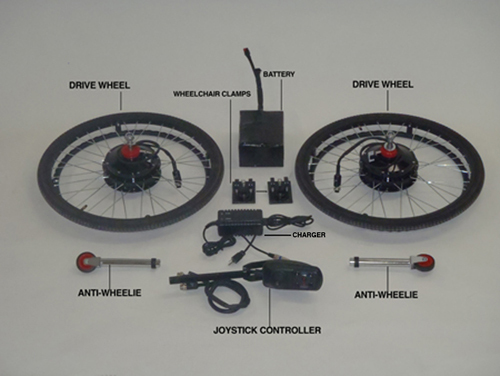 Kit includes both motorized wheels with tires and tubes, joystick controller, electromechanical braking, wiring, anti-tippers, battery holder, battery, charger with 2 ports, and installation instruction. Free shipping on kits to continental US. NYS add local sales tax unless doctor script.